This “sweet” couple is so hilarious! 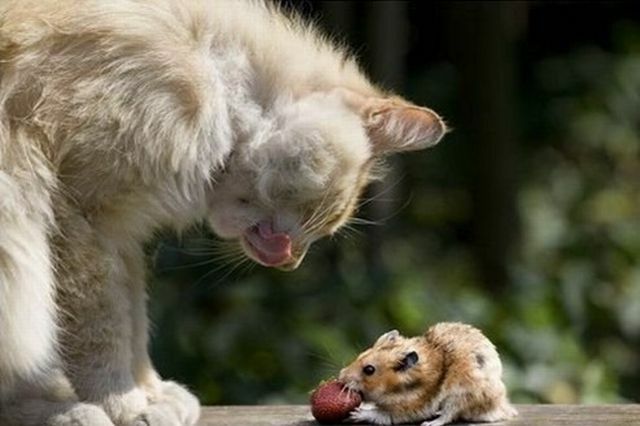 I would never think that a cat and a mouse can be so much alike. Where is our world rolling? 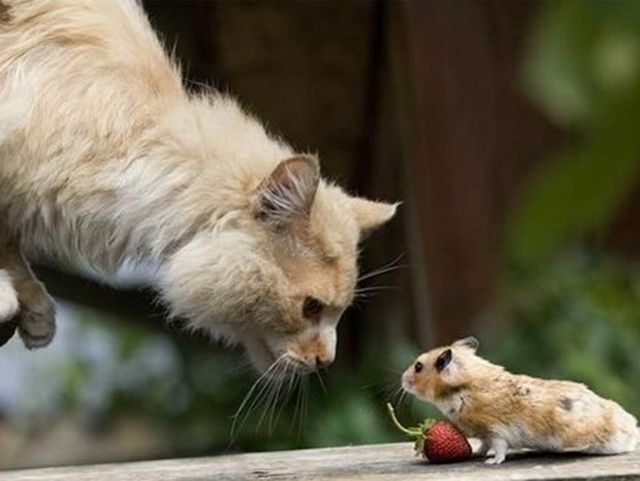 How many vegetarian cats do you know that would prefer strawberry to a delicious mouse? 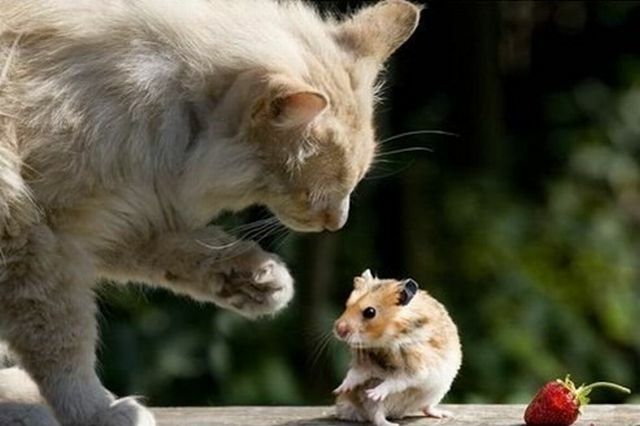 if its a MOUSE, so im a dinosaur! its HAMSTER! 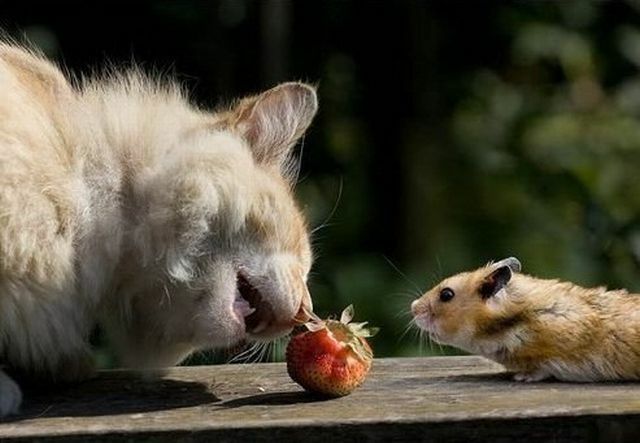 "Please Mr Cat, take this here strawberry and spare my life!"